Containing the highly effective active ingredient Proflavine Hemisulphate, Radiol B-R Antibacterial Jelly is a bright yellow antibacterial jelly boasting long-lasting soothing and calming effects on minor wounds and abrasions. With a proven effective formulation, this quick acting jelly is a useful addition to any first aid kit. 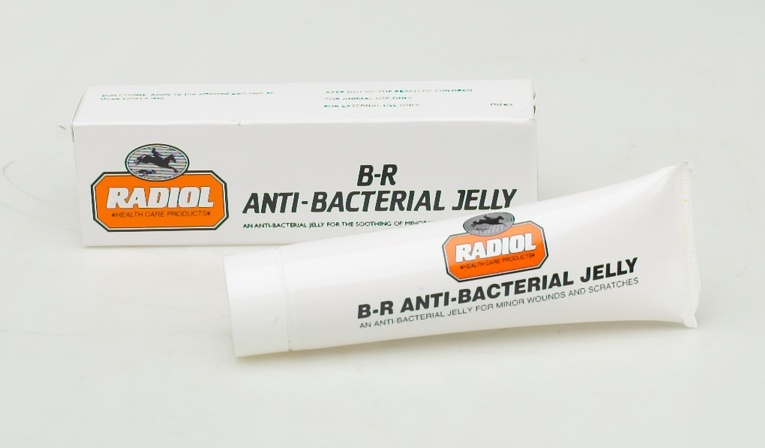 Below are some recent questions we've received regarding Radiol B-R Antibacterial Jelly, including answers from our team. This should be suitable for small wounds. Ideally they should be gently washed, cleaned and dried first.